Building on the success of our LiveScore Android Web Application , we are now excited to announce the release of our new Android Native Application. The features and functionality of both applications are similar however the main difference is that the Web Application is an optimized mini-website while our new Native Application can be installed directly on your Android mobile - first it needs to be downloaded from the Google Play (formerly Android Market). We have therefore decided to go one step further in offering you installable application that runs natively on your Android enabled mobile phone and as such is easier to use, more responsive, with optimized and minimal data transfers. 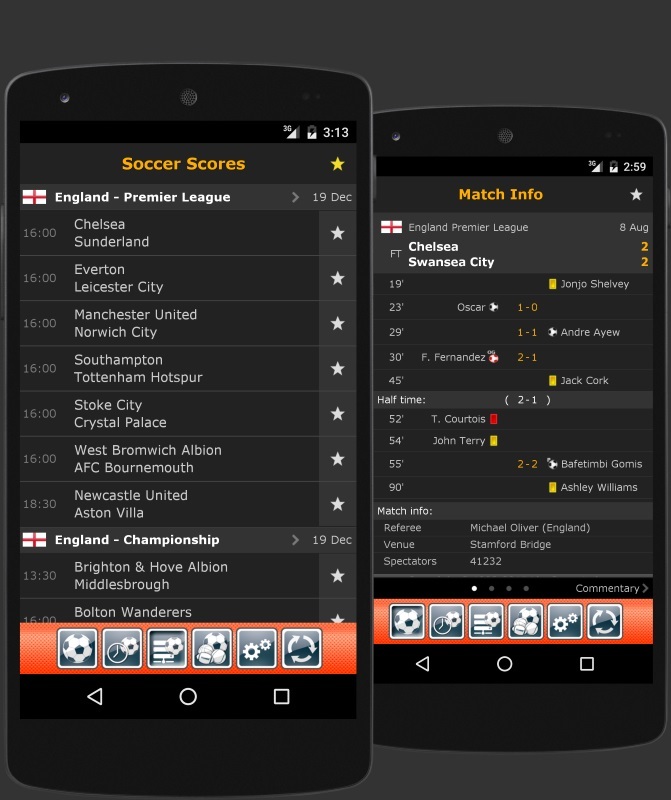 The new LiveScore native application is currently available for free download directly from LiveScore.com. Android, Android Market, Play Store & Google are trademarks of Google Inc.
Android Web Application is an optimized mini-website. This version was designed for Android and as such may not display correctly in some browsers. For best experience use your Android built-in browser.